Mount Kailash situated in Tibet is regarded as the abode of Shiva-Shankar who was charged with the spirit of the formless and infinite Almighty known by many Hindus as Shiva. Lake Mansarovar, the largest fresh water lake of the Himalayan region is situated at the foot of this mountain. It is situated to the north-east of Nainital District. Many believe that lakes of Nainital District are fed by waters of this lake through underground rivers. According to mythology, the connection was a result of prayers of ancient sages that medidated on the banks of Naini Lake. Bhim Tal lake also in Nainital District is held by some to be fed from the adjoining Rakshas Tal. It is one of the poorly developed and mantained lakes of the district. Its water constitute a portion of the water supply of Haldwani town situated at the foot of Nainital Hills. Surprisingly the less beautiful parts of Nainital district are those fed by Rakshas Tal, whereas others fed by Mansarovar Lake are charged with extraordinary beauty. All this, however, is not yet scientifically established but is based on some mythology and local folk lore. In Hindu Mythology Siva or Shiva is one of the names for Almighty God. He is infinite and formless but visualized for worship in finite forms such as Shiva-Shankar, Shiva-Natraja and Shiva-Linga. 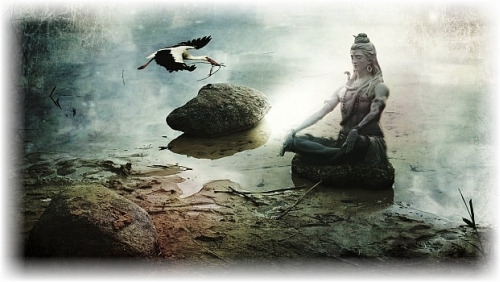 Of these the image as Shiva-Shankar is a human image and as per some mythology it is based on the ancient Sage Shankar who some regard as an avatar or Lord incarnate in human form and others as an ardent devotee of Siva/ Shiva and who meditated for many years in the Himalayas on Mount Kailash. It is because of this that Kailash is regarded as a sacred abode of Siva. In mythology Shankar, although in a human body, is said to have been a totally submerged devotee ever engaged in meditation on the Almighty, who had relinquished any human ego. 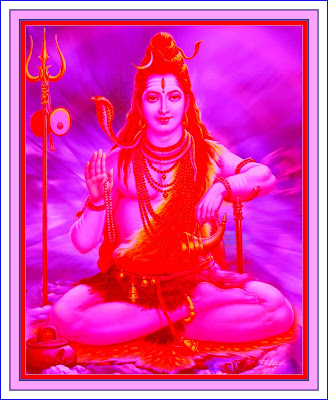 Therefore he is also referred to as Shankar Bhagwan (the god Shankar) and an Avatar of Siva. 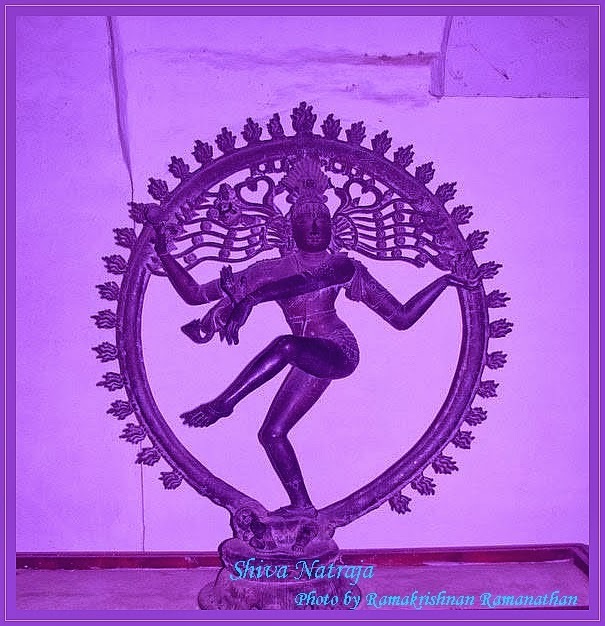 It is regarded as appropriate to direct ones prayers to the Infinite formless Siva through the holy sage Shankar as Shiva-Shankar if one wishes to, in a manner analogous to what Buddhists do through the human image of Buddha and Christians through the human image of Jesus. However, if one can, there is no restriction among Hindus to express devotion for the Almighty in His formless infinite aspect, if they are able to do it that way. He is viewed as a Divine Father. However, one may also view the Almighty as a Divine Friend, mentor, guide or protector. In reality the Almighty is all things expressing Divine Love as - Father, Mother, Brother, Friend - and He is in all things. Both His extent and forms are infinite. The sage Shankar married, because a Himalayan princess - the goddess Parvati- insisted on marrying him. So united was she in spirit with Shankar Bhagwan that she is regarded by Hindus as the female aspect of divine Mother Goddess. There is much ancient mythology associated with Shiva and Parvati and it is beyond verification to ascertain how much is based in historical fact and how much a result of popular imagination. It is up to a devotee to accept that which appeals to him and ignore any that does not. Shiva Shankar had some notable characteristics. First was his utter simplicity for which he is also know as Bhole Nath or lord of simplicity and a common greeting of devotees is “Jai Bhole Nath ki’ or Praise the Lord of Simplicity. Second was his huge love for all life including wild animals even snakes considered dangerous by others. This love he shared with Parvati who is often shown depicted with lions and tigers as pets. The love of Shiva Shankar extended to even life unmanifest that included ghosts and spirits and because of this he is also known as Bhuth Nath or Lord of the Ghosts. This command of ghosts he shares with other most evolved of mystics and prophets that have appeared on Earth including Jesus Christ. It is said that when he finally yielded to Parvati and agreed to marry her, he reached her home in a procession. Being a hermit he did not have family or friends to invite to the wedding so he invited some of his animal friends from the forest and ghosts to the procession. While some regard Mount Kailash of Tibet as the holy abode, others regard another peak in Nainital District of Uttarakhand as the Kailash abode, while some recognizing both as the higher and lower Kailash. It is said that Sage Shankar consumed cannabis, if so, this is found growing in abundance near the lower Kailash and not the higher one. It appears that Sadhus (holy hermits) who are devotees of Shankar still consume the herb although cannabis was declared as an illegal substance in India some decades ago. There is folk lore that it was Shiv-Shankar himself who created the cannabis plant by introducing human genes to hemp so that it becomes a medicinal plant to provide relief and solace to humanity that faces many hardships in their journey through life when his consort, the goddess Parvati urged him to do so. As a result, the plant began to produce essential compounds found in mother's milk and required by a baby to cope with the world. Who was Babaji or Baba Haidakhan? The Himalayan Hill Ranges are dotted with lakes, rivers, springs bearing pure sweet water, wild flowers, butterflies, pine, oak and numerous other trees. Certainly if a region has to be chosen as the abode of Gods on our planet, it would have to be the hills, valleys and caves of the Himalayas. It was early eighties. I was then an Assistant Professor in Mechanical Engineering at the Indian Institute of Technology (IIT) at Delhi. I had rented an apartment a few kilometers away from IIT, at a place known as Masjid Moth (DDA Flats). There was accommodation on campus but with two infant daughters and a live in full time Nanny to boot, available accommodation on campus was a bit too compact for our needs. I lived in this apartment from approximately the middle of 1981 to the middle of 1984. During this period I had an unusual spiritual encounter. I do not recall the exact date when the encounter took place but the incident itself is crystal clear in my mind.